SAMBA: An Afternoon with A Samba Master! August 27, 2012…a holiday and Escola de Samba de Manila was thrilled to have a master mm-ah-er (that’s benny’s baby linggo for drummer) come join our regular ensayo at Museo Pambata that afternoon! Tristan Daws, a film maker by day, and top bateria director to the London School of Samba, along with our fellow Pinay friend, UK resident Lex Adarme took time out from their Philippine vacation to share with us their love from SAMBA. We had regular ESM drummers present, family and friends– old and new. 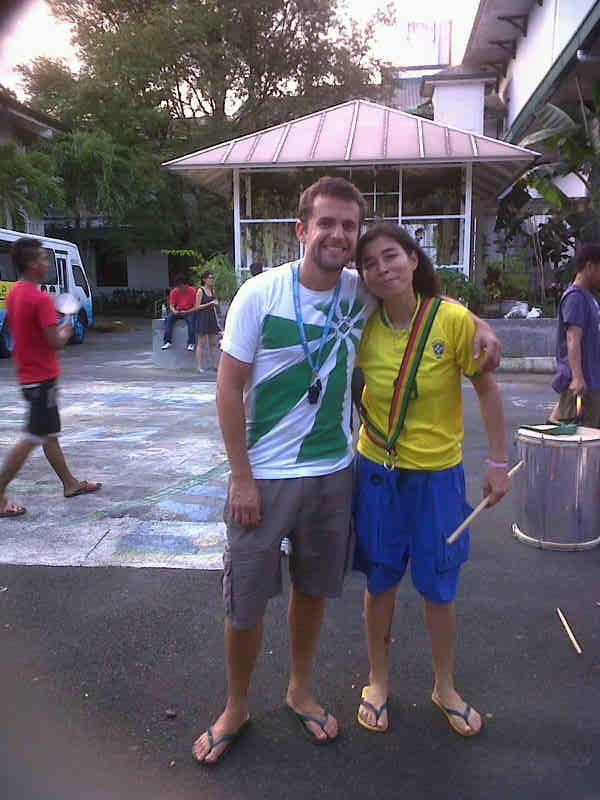 Tristan and Toni, drum director for Escola de Samba de Manila, sorted the instruments out and got all of us in line then we started of with some batucada beats to warm up. The London School of Samba (LSS) was the first samba school formed in the UK, in 1984. A nossa escola madrinha é a Mocidade Independente de Padre Miguel. Visit www.londonschoolofsamba.co.uk to find out more about their school! It was AMAZING to have been in their presence and it made me feel ONE with samba all over the world! 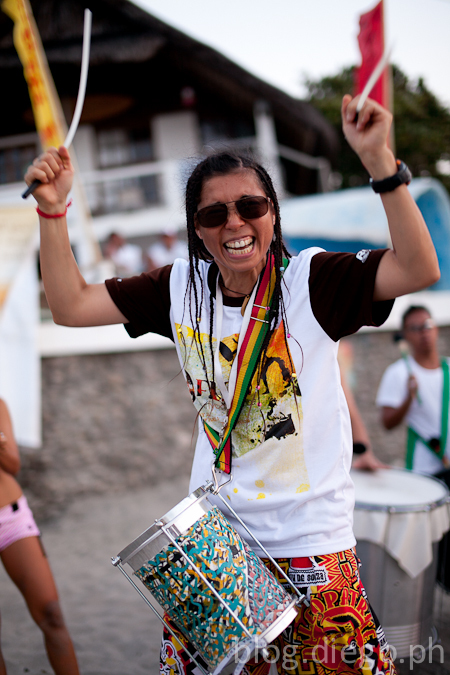 The next few months will be exciting for ESCOLA DE SAMBA DE MANILA starting off with FLOW FarmYogaSamba weekend retreat where Toni will lead us in a Brasilian drum and dance class. Newbies, fear not, for we will be gentle and the only requirement is to come with an open mind and heart to let go, clear your mind, GO WITH THE FLOW and have fun!! 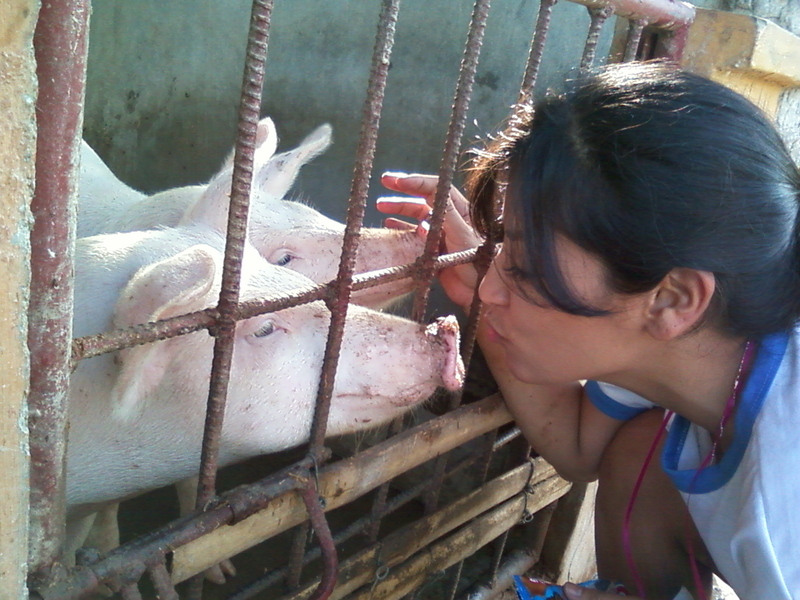 Pigs are our friends! Some FARM Loving! DISCLAIMER: Do not worry- we will not force you to kiss anyone you don’t want to. 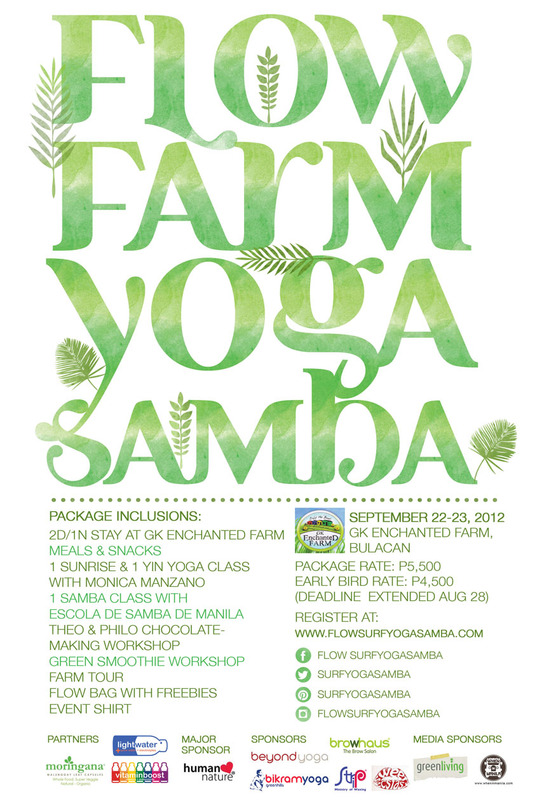 Then there’s EARTHDANCE, another FLOW SurfYogaSamba Retreat in November, more workshops with the kids of Museo Pambata leading up to our CARNAVAL in February 2013! We are looking for friends to help out KEEP THE SPIRIT OF BEAUTIFUL SAMBA ALIVE HERE IN THE PHILIPPINES! Please contact thegodwhacker@yahoo.com for more information! OHH!! our Green Living FLOW IN THE CITY feature finally came out tonight on ANC! Whooothooot!! Cant wait to catch the replay! !